In this explanatory essay, a middle school student describes two opposed youth movements in Nazi Germany, and what happened to each. There were two important youth movements in Germany during World War II. The Hitler Youth movement was set up by the Nazi government. The White Rose movement was a small protest group. The Hitler Youth (Hitlerjugend or HJ for boys and Bund Deutscher Madel or BDM for girls) was a movement set up by the Nationalist Socialist Party. It was designed to condition German youth to military discipline and to win their loyalty to Nazi rule. The Hitler Youth movement was part of the “Thousand-Year Reich,” the Nazi master plan to rule for the next 1,000 years. The Nazi authorities wanted to control the youth from ages 10 to 21. Physical strength and discipline were stressed in HJ training. All of the boys in the movement were expected to work on the land. At the age of 21, these boys enlisted in the armed forces. And so, the Nazis had control of the German boys from the time they entered the HJ to the time they became SS men. The German girls in the BDM were taught the Nazi beliefs just like the boys. But rather than working on the land, the girls were trained to become mothers of healthy children whom they could educate in the spirit of Nazi ideology. All children in the Hitler Youth wore uniforms. The White Rose was a group of German students opposed to Nazi Germany and the extermination of the Jewish people. This group of students was led by a professor by the name of Kurt Huber. He taught his students that human beings should never be sacrificed as a way of achieving a goal. Members of the White Rose movement created protest letters and pamphlets promoting a spirit of resistance against the Nazi government. These letters stated that it was bad that people let the government carry out its inhumane acts. An excerpt from one of the letters goes as follows: “We will not be silent. We are your bad conscience. The White Rose will not leave you in peace.” Students from the cities of Hamburg, Freiburg, Berlin, and Vienna made up this movement. In February of 1943, the White Rose group handed out pamphlets urging others to rebel Nazi authority. Shortly after, students in this movement were killed. The Hitler Youth supplied the Nazi government with large numbers of loyal followers who helped Hitler resupply his army to fight against the Allies. Many of these young people followed Hitler right to the end of the war. White Rose students remained loyal to their protests, too. They knew what they were getting into when they joined the White Rose. The future would come to honor their protests and bravery. Youth Movements in Nazi Germany by Thoughtful Learning is licensed under a Creative Commons Attribution-NonCommercial-ShareAlike 4.0 International License. 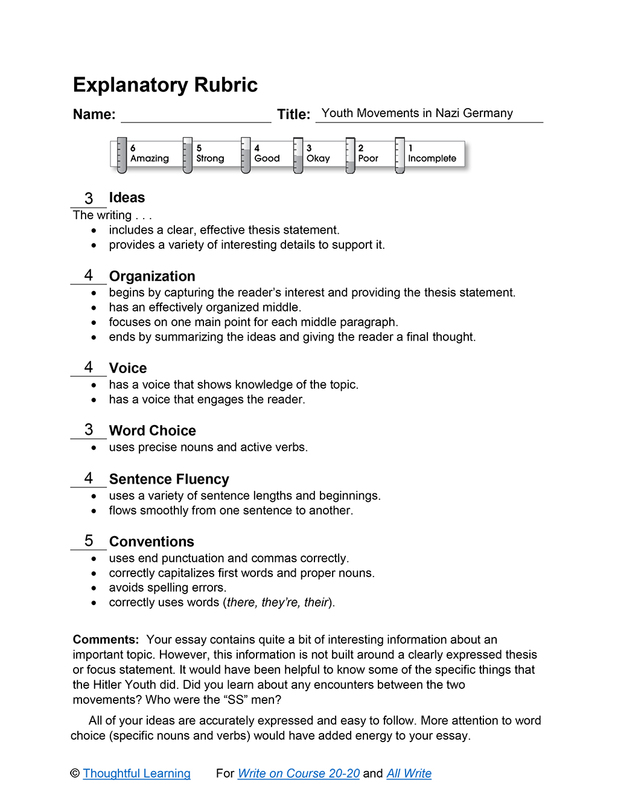 Based on a work at k12.thoughtfullearning.com/assessmentmodels/youth-movements-nazi-germany.